In this section you will find a selection of articles previously published in World Footwear, dating back as far as 2005. The outdoor segment is growing in importance at the ISPO exhibition. World Footwear rounds up some of the footwear highlights from February’s show, with sustainability and technology high up on the agenda. Considered by many to be the greatest women’s shoe designer of the past century, the career of eccentric genius Manolo Blahnik has been celebrated with a travelling exhibition that showcased some of his finest work from the past 45 years. A new handmade shoe from sports brand Norman Walsh takes its inspiration from automotive brand Lexus, including its use of upholstery leather in the upper. A number of diverse brands from the worlds of outdoor and fashion have suddenly decided that adding a footwear collection to what they already offer will drive growth. Master bootmaker Jean-Michel Casalonga of Berluti explains the appeal of seeing the process through from beginning to end. UK specialist goatskin tannery Billy Tannery has partnered with a fifth-generation Northampton shoemaker to create its first footwear product, a sneaker made from exquisite vegetable-tanned kid leather. Received wisdom in the leather industry is that the price of hides always moves in a cycle from cheap to expensive and back again. Prices reached historically high levels in 2014 and 2015 and shoe companies drastically reduced the volume of leather they were using in their collections. Tanners held tight, believing that these customers would return in the time-honoured way when hide prices came down again. Prices are down. The shoe companies have not come back. The cycle is broken. A recent ruling by the European Court of Justice (ECJ) looks set to allow high-end footwear brand Christian Louboutin to continue to protect the distinctive red sole with which it has become synonymous. A number of UK footwear companies have come together with the British Footwear Association (BFA) to launch a new nationally-accredited apprenticeship standard that it is hoped will help train the next generation of shoemakers. As it marks its 120th anniversary, Saucony has vowed to continue its efforts to demonstrate the “transformational power of running”. Deckers director of innovation, Chris Hillyer, says the term ‘3D’ now makes some in the industry think of “magic 3D-printed shoes” that may or may not have an impact on the footwear sector in the years ahead. But he says software for designing product and making prototypes and lasts in 3D has been around for much longer and is now so good most companies could make use of the technology right away. A commitment to using natural materials, well-thought-out design and confidence in the skill of its shoemakers – these are the pillars on which Croatian children’s footwear brand Froddo has built its success. After a meteoric rise from crowdfunded startup to Silicon Valley, wool footwear brand Allbirds has turned to Lenzing’s plant-based Tencel fibre to help it write a new chapter in its story. Sports shoe brands are beginning to realise that to develop footwear for women they need to do more than just adapt the products they have already created for men. Five European countries have joined together to ensure knowledge is retained and that Europe continues to be the number one region for high-end manufacture. An exchange programme launched by the JM Weston Foundation gave four footwear students, two from France and two from Japan, the opportunity to experience shoemaking in their different countries. It’s more than geography that separates Mexico’s two main centres of footwear production, Guanajuato and Jalisco. Unlike its more famous neighbour, Jalisco devotes itself almost entirely to designing and manufacturing shoes for women. Footwear brand Vivobarefoot is on a mission to prove less is more when it comes to making shoes that complement the natural function of the feet. An in-depth report in the December 2017-January 2018 issue of World Leather makes it clear that the China Leather Industry Association is optimistic about demand for leather and finished leather products, including shoes, in the domestic market. What is more, that optimism appears to be growing. A little over a century since the birth of its creator, Nathan Clark, the iconic Clarks Desert Boot will soon be returning to British shores after the footwear group unveiled plans to bring some manufacturing back to the UK. The latest footwear collection from Decathlon’s Newfeel brand includes, for the first time, shoes specifically designed for Nordic walkers. Cameroon-based manufacturer OMES uses local wood to create clogs and soles for overseas brands, in an attempt to claw back some shoemaking to the African country. Life in the footwear industry isn’t always rosy, admits shoe designer Nicholas Kirkwood, but he says he “wouldn’t change it for anything else”. The Dutch Leather and Shoe Museum closed for refurbishment in January. Recent events have put its reopening, promised for 2019, in serious jeopardy. With 2017 proving to be a year of major change for footwear brand Geox, its work with designer Ernesto Esposito is helping it keep close contact with Italy and the highly desirable fashion connotations that are synonymous with its country of origin. Following several years of intense product development and multi-million-dollar investment, Nike narrowly missed out on achieving the first sub-two-hour marathon. Rival adidas is planning an attempt of its own. The English shoemaker’s best-selling styles are based on lasts that are 80 years old. A new Environmental Chamber at WL Gore’s headquarters in Maryland will help the company test new ideas for using its membrane technology in footwear and apparel. Australian footwear design student Kira Goodey has won the fifth ‘Craft the Leather’ prize in an annual outreach competition organised by Tuscany’s Consortium for Genuine Italian Vegetable-Tanned Leather. A particular piece of Tuscan art was the main inspiration for her entry, a shoe design that swept the panel of judges away. France’s footwear industry is searching for a new generation of shoemakers to take over from those who are soon to retire. The once-a-year ISPO winter sports fair was buzzing, as usual. Penny Leese reports from Munich. Sports brand Reebok is aiming to revolutionise the way athletic footwear is made with the help of a new liquid material developed by chemicals manufacturer BASF. Stuart Weitzman is to step down as creative director of his eponymous brand as Coach begins to stamp its mark on the brand it purchased in 2015. The Pensole Footwear Design Academy gives aspiring young designers, regardless of background, the tools they need to have a successful career in the footwear industry. Kenyan start-up Enda believes the country’s reputation as a producer of world-class runners means it should be capable of also producing world-class running shoes. A recent report ranked the top ten non-athletic footwear groups in the world by their 2015 revenue; World Footwear examines how they are faring so far this year. It may seem a contradiction but retro shoes are in fashion; footwear brands are counting on the popularity of reissued models to boost their sales. London-based shoe designer Sophia Webster has enjoyed startling success in the four years since she launched her own brand, but she has a clear recollection of long years of learning as a student at Cordwainers’ College and even has some advice for her younger self. California-based Lamo Footwear has made its name selling sheepskin boots. Now it wants to position itself as a brand that can be worn all year round. Ashley Roberts made her name as a member of US girl group The Pussycat Dolls. She has loved performing from a young age and now she is putting her energy into something that she is even more passionate about - shoes. She spoke to World Footwear about what her first collection means to her. Low-cost airline easyJet has developed a prototype vibrating smart shoe that could help tourists find their way around cities more easily. The company is urging travellers to “forget your mobile and map, and get on with enjoying the city”. Family-run business Melvin & Hamilton has been producing sophisticated shoes since 1988 by adding unique twists to classic designs. It manufactures all of its footwear in India, a strategy that more brands could adopt if labour costs in China continue to increase. Paris-based fashion consultant Jayne Estève-Curé has clear ideas about the questions footwear companies need to address if they are to reach out successfully to millennial consumers. The south of England is home to a number of the world’s most successful dance shoe manufacturers, including Strictly Come Dancing supplier International Dance Shoes and world-renowned pointe shoemaker Freed of London. The once-a-year ISPO Munich sports fair is not just a trade fair, it is a meeting place, a place to have fun with physical activities and, of course, after-work parties. Outdoor and winter sports are the main focus of ISPO, but the words ‘hybrid’ and ‘sustainable’ were key terms at the fair. Justin Fitzpatrick started his blog to educate men on well-made shoes and provide a portal for like-minded enthusiasts. His brand is based on dress shoes with a modern twist and it’s beginning to make its mark in Asia. Paris-based luxury group Kering decided in mid-December 2015 to sell the only one of its portfolio of brands to be devoted almost entirely to shoes, Sergio Rossi. Industry commentators wasted no time in wondering aloud if this says something about shoes failing to fit in properly with a wider group focused more on ready-towear luxury clothing. Italy’s footwear manufacturers’ association, Assocalzaturifici, chose Blue Sole Shoes, a small, independent boutique in Philadelphia, US as the winner of its 2015 overseas buyers’ award. Founder, Steve Jamison, travelled to Milan to pick up the award at Micam in September and spoke to World Footwear following the presentation. Autumn-winter 2016 will see burnished leathers and military looks inspired by the craft movement, styles will be updated with new material combinations and athleisure will have established itself as a sector in its own right. The Swedish outdoor brand has set the bar high so there can be no accusations of greenwashing, and has introduced a set of criteria for footwear to carry its Take Care label. The appeal of ‘Made in Italy’ is the envy of the rest of the footwear world, and yet, when academic Dr Giuliano Noci addressed a group of young industry professionals from all parts of Italy recently, he had to warn them not to waste the opportunity afforded to them by their location and their heritage. Adidas is launching a collection made from recycled from ocean waste, while Keen’s Uneek design uses 75% new manufacturing methods. Social media went wild when guests at the Cannes Film Festival claimed they had been turned away for wearing flat shoes, coinciding with an exhibition at London’s V&A examining ‘ever higher heels and dramatic shapes’. These events have brought the perennial debate about why women wear high-heeled shoes back into vogue. In the past decade, the US brand has learned the power of celebrity endorsements. Regular appearances on the red carpet have propelled sales northwards, and new owner Coach plans to carry on the trajectory. For autumn/winter 2015, classic styles will be updated with embellishments, woven materials and shine. The expertise, determination and sheer hard work of footwear museum curators in Germany and the Netherlands have made it possible for a shoe exhibition to cast new light on some aspects of the work of legendary twentieth-century shoe designer Roger Vivier. Once upon a time, the GDS shoe fair in Düsseldorf led the world. However, it gradually lost ground to the more fashion led Italian fairs we see what was on display for the coming season. Galahad Clark’s family has been involved in footwear production since 1825, which lends a certain weight to his belief that all shoe designs should mimic the bare human foot. Manhattan-based shoe start-up Jack Erwin appears to have had a remarkable first full year in business in 2014, cementing its reputation as a provider of affordable, high-class, handmade shoes for men and attracting investment from one of the biggest names in the global footwear industry. The design of its three collections takes place in New York, but the company has found its ideal manufacturing partners on the other side of the Atlantic. A group founded in Brazil in 1972 believes it has a great opportunity to make an impression on the US market thanks to its value proposition. There is fierce competition at the high end and at the very low end of the market, but in the middle, Arezzo is convinced its high quality, affordable collections of shoes with leather uppers and leather linings will prove popular. 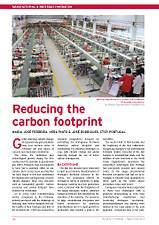 As consumers become increasingly keen on knowing the environmental profile of all the products they buy, WL Gore has calculated the extent to which high quality hiking boots can help people keep their carbon footprint as low as possible. The focus of footwear and apparel group VF Corporation is still broad, but in 2014 its senior management team has consistently said sports and outdoor are where all the momentum is. Thought by many commentators at the start of the century to be a one-season wonder, Crocs now claims to be the eighth biggest footwear brand in the world and is still growing. It wants to keep finding new styles of shoe in which it can use its proprietary Croslite cell-based resin material and develop itself beyond its iconic clog into a brand for all seasons. Footwear designer Kobi Levi is famous for quirky shoe designs that often appear to have more in keeping with surrealism than with shopping, but he is in the process of preparing a new collection that outsource manufacturing partners will be able to make on a production line, making the shoes accessible to a wider public. WL Gore has announced its first major footwear development in more than a decade. It involves incorporating a new version of its membrane technology into a specific shoe construction to deliver what its says will be breathability under as well as above the foot. In a new twist to an old partnership, Brazilian designer Sarah Chofakian has recreated an updated version of an old Repetto shoe, the Tango. Puma and Saitex are helping children close to their Vietnamese bases by donating all profits from recycled-denim footwear collection Re-Cut to the Be Tho Orphanage in Bien Hoa. He rarely gives interviews, believing that his track-record in the athletic and outdoor footwear sectors speaks for itself, but it’s clear from recent comments that Deckers Corporation chief executive, Angel Martinez, still thinks deeply about the best ways to help his footwear brands connect with the changing demands of consumers. ISPO 2014 in Munich clearly demon­strated how much the lines between sport and fashion are blurring. Innovators–a new series of features in World Footwear will aim to tell the stories of people, ideas and companies that have had a lasting effect on the industry. We aim to highlight outstanding thinking and practice, from groups or individuals, that still benefit shoe enthusiasts today and tell a powerful story. We begin the series with Tinker Hatfield, vice-president for design and special projects at Nike. Two brothers, who lost their parents in the 2004 tsunami, have launched a flip flop brand to support other orphans around the world. The wedding shoe market might lack the volumes of other market segments, but those involved in the design and manufacture say there is something special about contributing to the big day. What she describes as a dearth of high quality, stylish shoes for children has inspired UK-based designer Louise Shill to launch her own luxury children’s footwear brand, Young Soles London. July 2014’s World Cup in Brazil will be a lucrative opportunity for all sports brands, and Nike and adidas have thrown down the gauntlet with their latest football boots. Footwear fair GDS took place in Düsseldorf in September and has something for the entire family, or family retailer. It covers high-end Italian footwear from brands such as Fratelli Rosetti, trendy young styles from Nat-2, mainstream sneakers from KangaROOS, comfort shoes from Clarks and children’s shoes from companies such as Primigi. A trip to the US at the start of the twentieth century provoked a lifelong passion for cowboy boots in Spanish leather expert Andrés Sendra. A hundred years later, his grandson, Javier, is keeping the passion alive. Footwear brands are shunning regular materials and turning to salmon, cod and other fish to add texture and strength to their designs. New technology for capturing 3D images of consumers’ feet can help footwear companies deliver the right size first time, cutting down on the expense and inconvenience of returns from dissatisfied customers. Israeli footwear creator Kobi Levi was one of eight artists commissioned by the city of Cremona to mark a moment of great significance in the history of the city and its artisan traditions. The big brands are in a race to bring the latest footwear innovations to consumers and are discovering new ‘concepts’ along the way. Brands and designers are preparing for a bright winter. Penny Leese reports on some of the most eye-catching styles on show at GDS in Düsseldorf in March. Even in this economy, new footwear business ideas keep coming to light. Then again, if you have the skill, the knowledge, the passion and the creativity, why hold back? Away from the glitz and glamour of the high-profile commercial battles between big-name sports shoe brands, a much quieter footwear revolution has been taking place amidst the mud and rocks in the United Kingdom where fell runners run free. There’s more to Deckers Outdoor Corporation than UGG, and there is more to UGG than the classic sheepskin boots synonymous with the name. Former nurse Julie Lopez had such a struggle finding shoes she could wear to her daughter’s wedding that she gave up her job and devoted herself to sourcing stylish but comfortable high-heeled shoes that she has now launched under her own brand name. KangaROOS shoes have suffered mixed fortunes - from leaping off the shelves in the early 1980s to heading towards a crash a decade later. 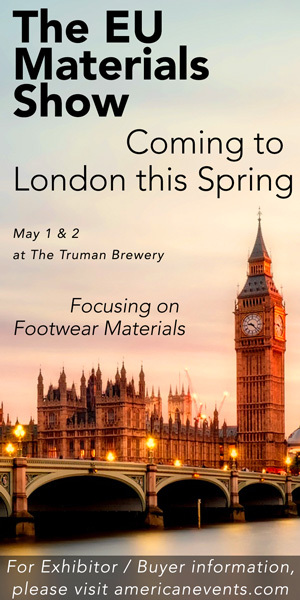 But true to the name, it is on the way back up, and its managing director Julia Hummel tells World Footwear about its giant leaps in Northern Europe. Ethiopian footwear brand soleRebels’ powerful message has helped it grow from a community enterprise into a multimillion dollar company, and it is setting its sights on a global invasion. The Swedish brand has spanned the product spectrum from swimwear to skiwear and its new line of footwear showcases the innovative nature that keeps it fresh after 60 years. Outdoor footwear brand Merrell knows it faces new in-house competition from Saucony since parent group, Wolverine World Wide, moved to acquire the performance and lifestyle group of Collective Brands earlier this year. Merrell’s immediate response has been to emphasise the highly technical characteristics of its shoes and boots, starting with winter 2012. Christian Louboutin’s recent legal victory in protecting his signature red sole was an important first for the fashion industry. It cements the idea that branding can be defined through more than just words or logos, and that the message it conveys dictates the price people are willing to pay. It also highlights bigger questions for the industry: what constitutes a brand, and is it right to trademark a colour? Children’s footwear brand Start-rite has been a by-word for quality shoes that fit young feet well for decades. It is now working harder than ever to get its message across to new generations of parents. Footwear brands are worried that last winter's mild conditions will deter retailers from ordering high volumes of winter boots this year - but designers have other plans. Figures show that shoe imports into the country are growing at a phenomenal rate, and cost seven times more than those that are exported, while exports of leather shoes declined. What does that say about consumer demand, and how will it impact the domestic industry? There has been a lot of talk about the barefoot revolution, in both trade and consumer press over the past couple of years. With the launch of the BIOM collection in 2009, Ecco had already integrated the trend into its sports footwear, but it has added to this for summer 2013 with a unique product: running shoes made from unlined yak leather. Highlights in fashion, music and lifestyle over the past 25 years have all influenced footwear and styling. Some of the trends really set the ball rolling. At the time we covered them; five pages of timeline might jog your memories. Of course, you may have other recollections! Chennai-based footwear brand Gaitonde has gone through various phases in its development. Now, based on a complete commitment to the finest quality raw materials and technological innovation, it is poised to re-invent itself once again, this time as a provider of luxury, exclusive, tailor-made gentlemen’s shoes. There are many seemingly contradictory trends in winter sports footwear, but they can complement each other too. Very obvious trends at ispo 2012, the international sports fair in Munich, were colourful, retro, luxury, barefoot, and family winter sports. As the barefoot running trend grows ever more popular, experts argue the pros and cons of cushioning, muscle tuning and whether ‘natural’ really is better. Once considered by many to be just another passing fad, the Crocs brand has made it through its financial hurdles and recently announced that revenue for 2011 will have exceeded $1 billion. Footwear designer Kobi Levi creates imaginative and humor­ous shoes which look just as much at home on the catwalk as they do on display in an art gallery. Italian footwear brand Geox asked former high-profile shoe designer Patrick Cox if he knew anyone it could work with to build up its presence in the UK market. It didn’t have to look too far. A contest in the US to find the ‘sexiest shoe’ of 2011 saw Valentino take the accolade for a pair of lacy, leather peep-toe pumps, showing a turn towards elegant sophistication in women’s footwear. Footwear brand Merrell recently teamed up with a professional barefoot runner to promote its first range of 'barefoot' shoes, showing that the old proverb is true - if you can't beat them, join them. Lightweight sports shoes have rocketed this year, accounting for nearly a third of sales in the running category in the US. VF Corporation, which owns outdoor brand The North Face, recently added Timberland to its list of acquisitions, prompting questions about how two companies with a similar product offering can co-exist in one conglomerate. Swedish brand Haglöfs has created a new series of outdoor sandals featuring mouldable footbeds from Sole; a development which it claims places it ahead of the competition. With Under Armour launching its biggest ever footwear advertising campaign and more and more brands reporting increases in footwear sales, we consider why so many companies are putting footwear first. The China Leather Industry Association caused a stir last year when it predicted that footwear consumption in China will double in the coming years. Obvious questions on detail were less than easy to answer. Now, new information has come to light on this subject. US retailer Genesco recently bought UK-based footwear retailer Schuh, in a £125 million deal. International expansion is a bonus for both companies, as business practices and trends predicting are shared across the Atlantic. Puma claims its new performance running shoe, called Faas, is the best running shoe on the market. And the German brand took a different approach when it came to designing the Jamaican-inspired footwear. The Royal Wedding in April was surely the biggest fashion event of 2011 and, with this in mind, we take a look at some of the fabulous shoes worn by the guests. Warm tones of brown, khaki, camel and deep red are all key colours for the autumn-winter 2011 women's footwear season. We can also expect to see some interesting contrasts, says expert Claudia Schulz. Regular contributor Penny Leese reviews the footwear offerings on show at the ispo 2011 exhibition in Munich in February and notes that, in shoes at least, sport is differentiating itself from fashion in a very colourful way. Until the advent of mass-produced boots and shoes in the late 19th century, even small villages in the British Isles would have had some form of shoemaker. Some were naturally better than others and the method they used to demonstrate their superiority and attract better trade and higher prices was to produce what were referred to as ‘prize’ or ‘exhibition’ boots. Imelda Marcos’s love of shoes had an impact on her commitment to leave a legacy of beauty for her people. A footwear brand inspired by shoes found on Europe’s oldest mummy is using cork technology to create fashionable, design-led sneakers. Reports that sales of skyscraper heels have quadrupled for one UK retailer confirm what history has been telling us all along: high heels are high fashion. Headline-grabbing shoe designer Christian Louboutin has pledged to set up an own-brand retail presence in China in the course of 2011. Some commentators believe the plan might bring bigger commercial success if the focus were on cities other than Beijing and Shanghai. Warner Bros had special leathergoods and footwear considerations to take into account when setting up its itinerant Harry Potter: The Exhibition event. High-profile and popular companies exist in the wizarding world of JK Rowling’s books and in Warner Bros’s film adaptations, but they are made-up. Sight of an inappropriate brand name among the exhibits at the exhibition would have bemused the Harry Potter enthusiasts who have queued up so far to see the show. Stuburt footwear may not be a household name that can be mentioned in the same league as Nike and adidas, but in terms of heritage, it has over 150 years of tradition. Situated outside Manchester in the suburb of Salford, Stuburt currently specialises in quality golf shoes and apparel. Luxury jewellery brand House of Borgezie has created a shoe made almost entirely from gold and diamonds that it plans to sell from £100,000 ($156,000) per pair. The new shoes, the Eternal Borgezie Diamond Stiletto, come with a 1,000-year guarantee. Why sports and outdoor footwear brands are going back to nature. The popularity of products such as the Reebok EasyTone, Nike Free and Vibram FiveFingers is challenging the idea that running shoes need to have high levels of cushioning. Sarah Chofakian came to the end of her psychology degree in Brazil around 15 years ago and decided to take a few weeks off to travel in Europe. Her 30-day break took her, among other places, to Paris, a city she instantly fell in love with. She found herself totally caught up by the culture and ended up staying longer than she had expected. One of the things that really impressed the young Brazilian was the elegance and style of Parisian women. She noticed there was a focus on unique design that simply didn’t exist in Brazil and she decided to do something about it. North African inspiration has helped Atelier do Sapato to earn plaudits at GDS in Dusseldorf. Now it hopes for further international expansion with an entry into the UK market. The brand is releasing a high-fashion sneaker line with the designer range now including eight sneaker styles for women. The most luxurious model is the purple Tokyo, made from embossed leather and exotic elaphe snakeskin. Elaphe are medium to large, non-venomous constrictors found in Eastern Europe and Asia. The former president of the Footwear Distributors and Retailers of America (FDRA), Peter Mangione, has made some acute observations on changes to the way footwear is selling in the US since the global economic downturn. New York-based footwear designer Steve Madden says he longs for the return of platform shoes for men. He said men's shoes these days are more conservative and less interesting and that a revival of platforms would liven up the world of men's shoes once more. Simple Shoes has been associated with eco-friendly products since it was established in 1991 by Deckers Outdoor Corporation. The company is constantly looking for new ways to reduce the impact of its manufacturing processes and of its finished products on the environment. One of the brand’s latest developments is its BIO.D footwear collection, which it claims can make a huge difference when the shoes come to the end of their natural lifespan. Children’s footwear brand Kavat is still producing shoes in Kumla, Sweden’s traditional home of footwear manufacture, with the founder’s granddaughters now heavily involved in leading the company. A focus on traditional methods and local materials is now opening up new markets all over northern Europe. Putting footwear in a fashion environment is here to stay. Trade fairs that mix shoes and clothes in the same areas, in carefully selected, hardly renovated old industrial buildings are attracting customers away from some of the more traditional shoe fairs. Bread and Butter, Premium, and The Key To during Berlin Fashion Week each has its own feeling and atmosphere. The Italian Footwear Manufacturers’ Association (ANCI) has once again put together a trends report for the spring-summer 2010 season with the help of Aldo Premoli, fashion consultant to Milan’s top footwear brands. Spanish footwear brand Callaghan has waited a while to build a footwear technology idea it calls Adaptaction into its collections. But the extremely sporty range it will offer for spring-summer 2010 suggests there is now no holding back on the innovation that, the company claims, is allowing it to make “the most comfortable shoes in the world”. The range of new leathers on offer to footwear manufacturers at the most recent edition of the Lineapelle exhibition in Bologna included a few surprises, as Penny Leese reports. Art and craftsmanship were important themes at the most recent edition of GDS, held September 11-13 in Dusseldorf, Germany. Cindy Traub has been in the shoe selling business for 35 years and believes she knows exactly what customers and retailers want when it comes to footwear. Having dreamed of setting up her own business for many years, Ms Traub established Cindy Says in 2004. Mexico’s footwear industry has high hurdles to climb in 2009, but companies that can survive may find they have obvious and powerful advantages over Asian competitors as sourcing and supply chain strategies begin to change in the US. The term ‘Wellington’ boot appears to have been first used by the North British Rubber Company sometime in the late 1800s. Boosted by their use in the trenches of the 1914-1918 War they became the essential item of footwear for millions of people wanting a reliable method of keeping their feet dry. Indeed, by the late 1900s, they had become a fashion icon in the form of the green ‘Hunter’ wellie. Since its launch in 2002, Crocs has certainly made its mark across the globe. It is rare to go a whole day without seeing a pair of the distinctive looking shoes on the feet of a child, mother or even an office worker. Footwear brands are finding insole technology an effective and affordable way to offer product innovation and win consumer loyalty. Awalk through Charlene Clay’s house quickly reveals what’s on her mind these days: her youngest daughter, Karen, is getting married. Hanging in one closet is the billowing ivory wedding gown, zipped carefully into a transparent bag; hanging in another is a row of four small ivory dresses and a tiny black tuxedo – each of her five grandchildren will be in the wedding. High-end Spanish brand Fluxa has launched a line called Twiggy Twiggy in honour of the model who made the Sixties swing. ANCI trends consultant, Aldo Premoli, shares his view of the styles that will be in fashion in spring-summer 2009. Top New York designers Sigerson and Morrison prepare to launch their second-line collection, Belle, in Europe. How a number of footwear brands from Brazil have begun to carve a niche for themselves in the growing domestic market in China. Times may be tough in the world of retail, but online shopping is more popular than ever. More footwear brands find ways of letting consumers decide on their own designs. New footwear technology ideas that could make a real contribution to wearers' fitness. A review of the shoes on show at European OutDoor in Friedrichshafen this year. At the Olympics: global brands versus Chinese brands. Big footwear brands look to cash in on the success and popularity of the Beijing Games. Penny Leese reviews the style ideas on show at the Barcelona exhibition for the spring-summer 2009 season. Which brands made it onto the Luxury Institute's survey of the men's footwear tastes of US millionaires? Amsterdam-based trends consultancy talks about moves in the youth footwear market and the new (old) ways in which they will set themselves apart from their parents. Because of its dependence on the retail sector, the global footwear industry can learn a lot from listening to the views of Marshal Cohen of analyst firm the NPD Group. What an experience, to walk in spring sunshine along the street at the heart of Milan’s high fashion scene, Via Montenapoleone, looking in the windows of the shops and listening to the views of a real expert. Tokyo's most famous luxury shopping district is now home to one of Giuseppe Zanotti's flagship stores, adding to the presence he has already built up in Paris, London and New York. Penny Leese reports from Munich on the impact eco-consciousness is having on designers of winter footwear. Designer Yuji Mizobuchi now calls Austria home, but he and his partner, Simone Springer, have allowed lots of influence from his native Japan to permeate their work. How social change will open up India's domestic footwear market. Fashion and consumer demand: The $55 billion US market has become the Camelot of the footwear industry, and athletic shoes are king; NPD figures show that 45% of those shoes fall into the athletic footwear category. Today’s typical shoe-shopping experience is relatively universal. A consumer enters the store, quickly scans its entire contents in a single gaze, identifies and moves towards his or her preferred selection, then fingers three or four sample shoes while awaiting the help of a salesperson. DSW, a US specialty branded footwear retailer, has created a very different experience with a unique business model that has brought the company 16 years of success and growth. A project to revitalise the supply chain of footwear brand Payless ShoeSource is coming towards its conclusion and, by the summer, the company will have its new distribution strategy completely up and running. Underpinning this new supply chain set-up is a doubling of its distribution centres. The 20th century saw cowboy boots develop into more of an art form than a working essential, with both bootmakers and their customers vying with each other in producing the most individual and complex designs possible. The 335 pages of Cowboy Boots the art & sole is devoted to some of the very finest ever produced. This September’s Midec international shoe show in Paris attracted 10,790 visitors of which 8,728 were from France and 2,062 from abroad. Although this only represented an increase of 1.09% compared to the February show, it continues the steady upward trend of the past two years. As the GDS Fair in Düsseldorf becomes smaller overall, the area devoted to imported footwear becomes ever bigger, with particularly large contingents from India, China and Taiwan. Many of these suppliers now use their own European designers directly, rather than relying on European agents to supply shoes to copy or adapt. Designers are forecasting opposing colours, shapes, prints and details, with contrasting matches, lines and patterns—a wardrobe of opposites and contrasts for autumn winter 2008/2009, and chemical company TFL has taken all these comments on board in producing its most recent Colour Trends & Fashion Inspirations for the leather industry. Bright, vivid, psychedelic and metallic colours are a fresh addition to the dirty, ‘second hand’ and ‘used’ look we have all got used to. At the Bread and Butter fair in Barcelona, there were lots of colours, and silver and gold metallic shoes even for men. Shiny metal studs and Swarovski crystals are no longer just for dressy fashion shoes and also appear on espadrilles and trainers. The United Kingdom appears to produce more than its fair share of influential footwear designers who are making waves both at home and in the global markets. Among them is Georgina Goodman who, in just a few years, has established an international reputation for creating seriously glamorous shoes. Winter shoes and boots were comfortable, in nice, rich leathers, with the essential touches to keep them fashionable and up-to-date at GDS in Germany. It was said in Greek mythology that everything King Midas touched turned to gold. And you wouldn't be blamed for thinking that King Midas paid a visit all around the Lineapelle fair in Italy. Exciting young street fashion is what Bread and Butter does best.All the trendy, more casual, shoe brands are there and one nice thing about this fair is that the men's trends and collections are as strong, if not stronger, than the women's. Italian tanners pulled out all the stops when they showcased their new leathers for winter 2007 at Lineapelle. Fashion, wearability and commerciality were the overriding concepts at GDS. This well organised fair offers all these ideas for buyers from around the world in a sound buying environment. When it comes to inspiration and musing about the trends, colours and textures for spring/summer 2008, Italian design consultants Sergio Belloni and Carmen Rimoldi obviously had flowers in mind, according to the latest forecast presentation issued by leather specialist chemical company TFL. As one of the largest consumers of footwear in the world—said to be second only to the USA—France seems an obvious choice of location for an international footwear exhibition, and this was highlighted with the success of Midec, which was held in Paris in September. 'Lovely leathers' in the May/June issue of World Footwear covered the leathers on show at Lineapelle. This article deals with the textiles and other fashion items that were on display. Long boots look set to stay for winter 2006/2007. Leathers at Lineapelle were exquisite, with an ultra-soft feel and sensual handle. The dominant infuence of American sport and music on European street fashion finally appears to be fading. The look at Bread and Butter in Barcelona, and in Copenahagen, was very much home grown. Elastogram Italia has developed a spectacular fashion trend using PU foam, TPU foils and a new production technology for coloured shoe soles. Many autumn/winter 2006/2007 collections are set to sparkle with the help of Austrian crystal company Swarovski that recently launched its Crystallized collection for footwear. ... and who said women don't buy too many shoes? According to recent research, the average British woman spend £31,000 ($54,000) on shoes during her lifetime. Real leathers looked really good at the recent Lineapelle... and fur too. International chemical supplier TFL's colour trends for leather for spring/summer 2007. The latest footwear trends from GDS. International chemical company TFL's leather texture trends for spring/summer 2007. Visitors to Francal in Brazil were left in no doubt as to where they wer in the world with colours reflecting the country's famous carnivals. Comfort, lightweight and increasing breathability are the key words for technical sports shoes. Lineapelle was awash with bright, intricate and beautiful leathers. Feet will be warm and cosy next winter - GDS showed fur uppers and linings, wool tweed and even felt for shoes. The toe shapes and side profiles that will feature in 2006. The PGA Merchandise Show in Orlando is still the world's most influential golf trade show. Shoes were a hot item this year with cutting-edge styling and biomechanical technology - especially on the women's side of the market. International trend watching agency Y-trends, which works with names such as Mexx Footwear, K-Swiss, Timberland, and Royal Elastics offers an insight into the youth fashions for summer 2006. More women's products were on show at ispo than ever before- including better fitting lasts, and boots that are warmer. Luxury was the key word for leathers for winter 2005/2006 at Lineapelle. BASF comes up with a new way of presenting its colours and trends. New designs from Spain and Mexico. The sporty street look at Bread and Butter in Berlin. Footwearbiz.com cannot be held responsible for content if the language setting is changed from English. The translations provided by Google Translate are automated and therefore might not be accurate and may contain incorrect, offensive or misleading language. We offer this facility as a guide only.